With that, Mr. President delivered his message of hope by endorsing the physical abuse of journalists. Applause and cheers rose from the audience. The latter is a criminal offense, which is why the body-slam ended up on a court of law. The congressman pleaded guilty to the offense but received no jail time, instead getting a sentence of community service, anger management and a fine. 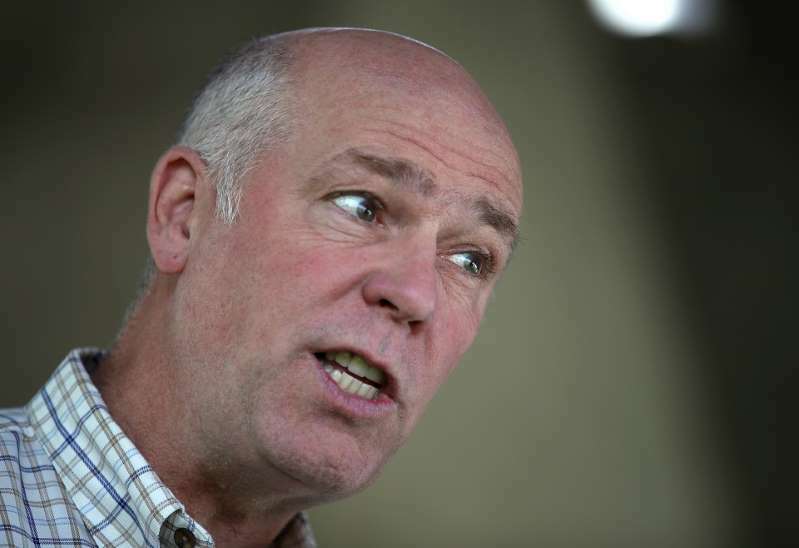 He also apologized for his behavior, calling it “unprofessional, unacceptable and unlawful.” The regret at least appeared genuine, and surely Gianforte wished he’d put this much-covered episode behind him. The problem is that it impressed Trump. A congressman who’s a sufficiently “tough cookie” to assault an unsuspecting reporter, and then go on to win an election: That’s just too irresistible a sequence for a demagogue with an arena full of people to fire up. Just think of all the people out there learning, perhaps for the first time, how to impress the president of the United States. Go out there and show him what a “tough cookie” you are. It hasn’t, and it won’t so long as Trump remains president. With most incorrigible and corrupt people, there’s always a hope that, when they come face to face with the awfulness of their ways, they might just retreat. It has become clear that with Trump, there’s no such hope. In late summer came the news that a 68-year-old California man, Robert Chain, had allegedly made a series of death threats against journalists at the Boston Globe while invoking the anti-media language of the president. “You’re the enemy of the people, and we’re going to kill every f—ing one of you,” Chain allegedly said in one threat. The president of the United States tonight applauded the assault on an American journalist who works for the Guardian. To celebrate an attack on a journalist who was simply doing his job is an attack on the first amendment by someone who has taken an oath to defend it. In the aftermath of the murder of Jamal Khashoggi, it runs the risk of inviting other assaults on journalists both here and across the world where they often face far greater threats. We hope decent people will denounce these comments and that the president will see fit to apologize for them.